The Bourne Legacy, an action-thriller movie, is an expansion of the Bourne series by Robert Ludlum featuring a new hero whose fate hangs by the happenings from the earlier three films. The film was helmed by Tony Gilroy and features a stellar cast including Jeremy Renner, Rachel Weisz, Edward Norton, Stacy Keach, Oscar Isaac, Albert Finney, Joan Allen, and more. The movie had an Asian premiere in Manila, Philippines on August 5, 2012. It was released in North America on August 10, 2012. When members of the intelligence community learned of the expose on Operations Treadstone and Black Briar, they decide to eradicate all evidence of the top secret operations, especially the genetically engineered operatives. The expose came about when Jason Bourne passed on the secret files to Pamela Landy who in turn, gave the files to the media. Included in the genetically enhanced operatives is Agent Aaron Cross (Jeremy Renner), who must run for his life amidst the dirty game of cat and mouse. The plan to eradicate all agents involved in the secret ops commenced. While Agent Cross was deployed in Alaska for training exercises, a drone was sent to eliminate him. Sensing that a drone is coming, he leaves his cabin and proceeds to remove the RFID chip embedded on his thigh. Meanwhile, other agents involved were also eliminated one by one. And at the biogenetics company that developed the Outcome agents, a researcher went on a killing spree with only Dr. Marta Shearing (Rachel Weisz) left to live. Dr. Shearing must die too, so D-track assassins were sent to her country house, but Agent Cross was able to save her. As his last link to retain his superior capabilities and IQ, he enlists the help of Dr. Shearing, and they travel to Manila, Philippines to infiltrate the pharmaceutical company that manufactures the special chemicals. Dr. Shearing managed to inject Agent Cross with the chemical upon their arrival at the pharmaceutical company, but not without alerting security. 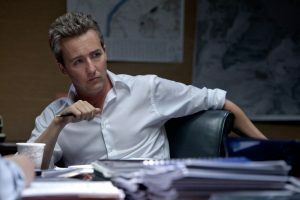 Col. Byers (Edward Norton) then deploys LARX-03, a chemically enhanced super soldier to track down both Shearing and Cross. From there, it becomes a classic game of cat and mouse with LARX-03 and the local police hunting both of them. It eventually came down to a square off where Agent Cross and LARX-03 battled it out, only for the latter to die when Dr. Shearing causes LARX-03’s motorcycle to smash into a post. They then escaped by sea with the help of a local boatman. 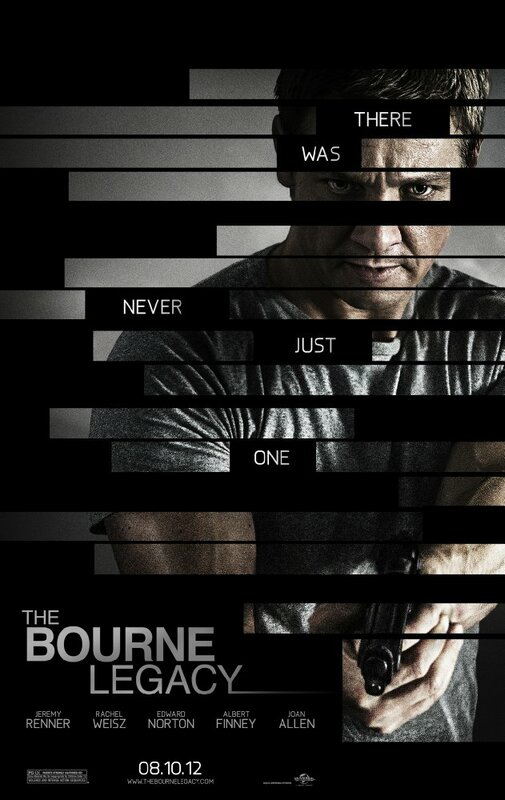 The movie promises to be an action-packed delight from start to finish, taking the Bourne series to an explosive level. While some aired their disappointment at Matt Damon’s absence, most enjoyed the movie stating that it still retained the trademark Bourne series of government conspiracies, action-packed sequences, and gripping scenes. 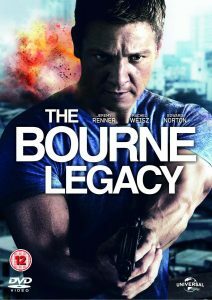 Despite mixed reviews, The Bourne Legacy got, it surpassed box-office expectations earning more than double of its budget to date. And of course, die-hard fans of the Bourne series will find that this movie is just as explosive and thrilling as the rest of the Bourne films! The series of movies about dangerous and mysterious agent Jason Bourne has certainly captured the attention of a large base of fans enjoying suspense and action-filled films. The original trilogy was a huge success – so much so, in fact, that it was clear people wanted more of Jason Bourne, resulting in the 2012 The Bourne Legacy movie. Often, movies that come after such successful trilogies fail to meet fans’ expectations, but this wasn’t the case with The Bourne Legacy. The film was well received by critics and viewers alike and it was, overall, a great success. That said, with so many movies being produced every year these days, even the best of them often fall between the cracks and The Bourne Legacy is under a threat of falling into oblivion. The story has pretty much been told with the 2016 movie, so what could be done to save the legacy of Jason Bourne? Although some may find it hard to believe, the booming online gambling industry has managed to save and revive quite a few movies that were threatened by the oblivion. Highlander is perhaps the best such example, where Microgaming took it upon themselves to revive the franchise that many members of the new generation don’t even know about. There is no reason them or another gaming company couldn’t do the same for The Bourne Legacy, a movie that has numerous fans across all the generations. The suspense-filled story, action-packed scenes, and plenty of memorable characters have all the makings of an exciting slot. Like Highlander, The Bourne Legacy slot could introduce a couple of original in-game features, combine them with the movie elements, and offer a game that is equally attractive to the fans of the original movie and an average slots’ player. To ensure its success, the slot could premier at one of the more popular casinos these days such as Casumo Online Casino. Having a reputable and quality casino supporting the game would certainly help its popularity. With the technology being what it is today, game creators could even turn The Bourne Legacy into an exciting game with some RPG elements and saved progress to make it even more entertaining and engaging. That way, they could get the best of several worlds: movies, slots, and PC games, making the new slot appealing to the widest possible range of audiences.